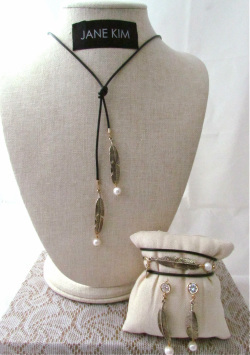 Feathers and pearls collide with chic simplicity. 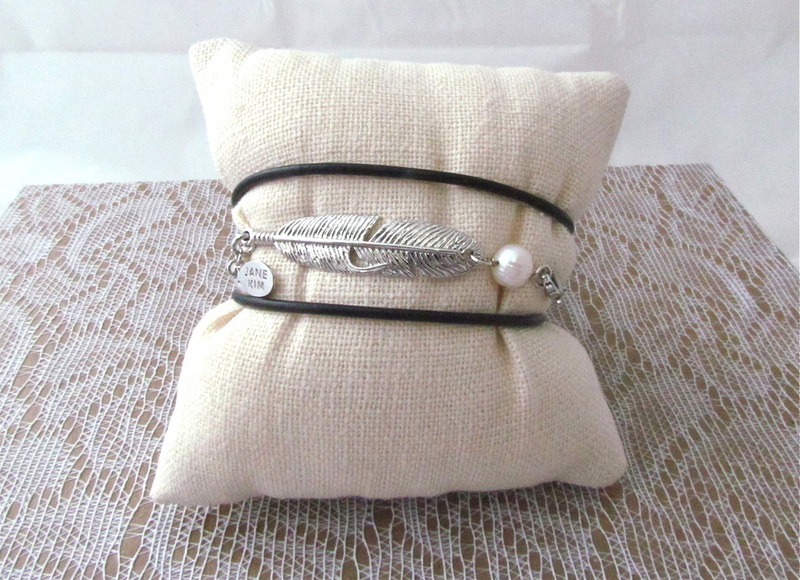 This bracelet is versatile enough to be worn 3 different ways. 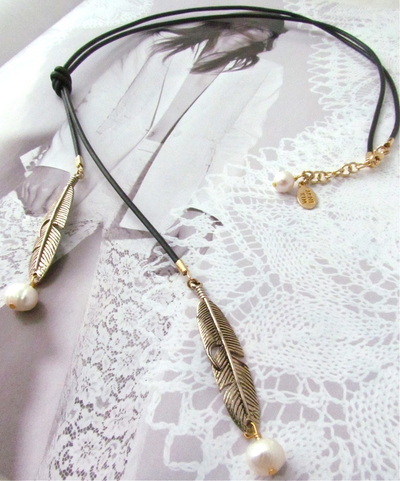 As a multi-strand bracelet or necklace. 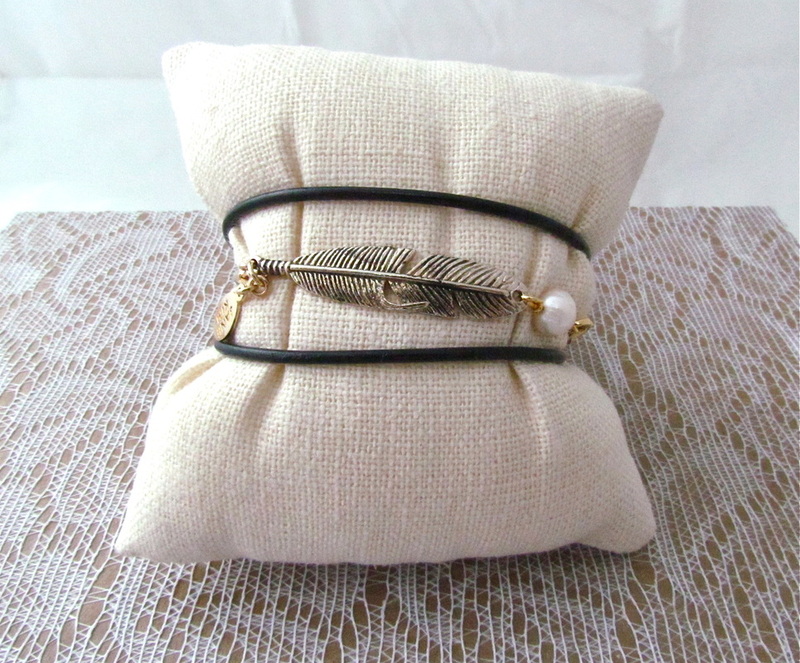 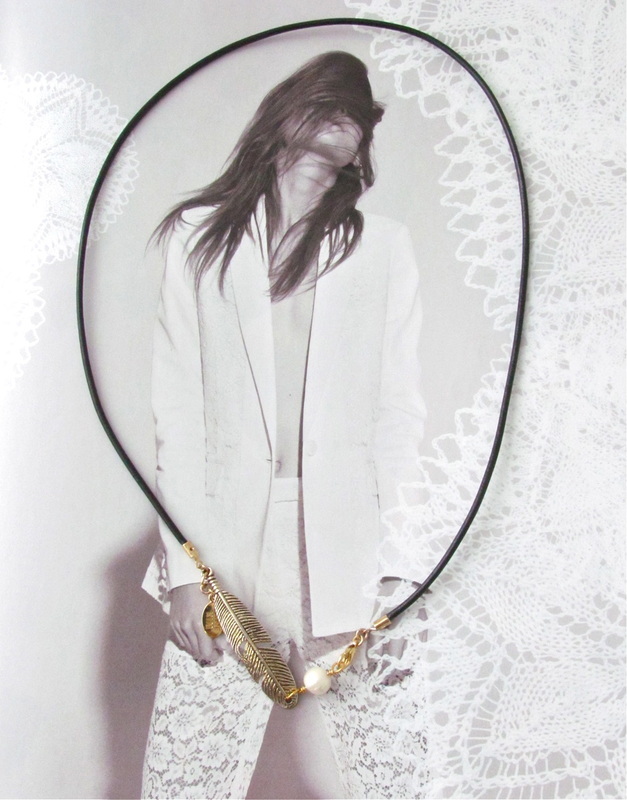 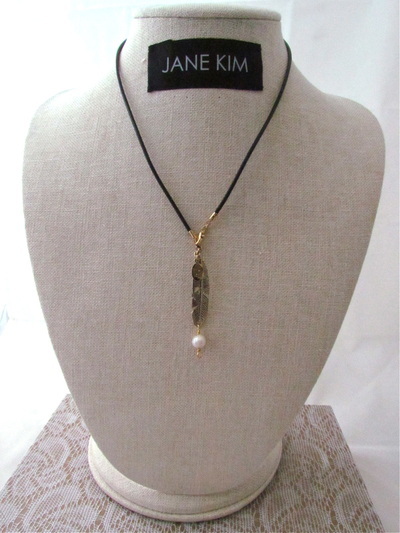 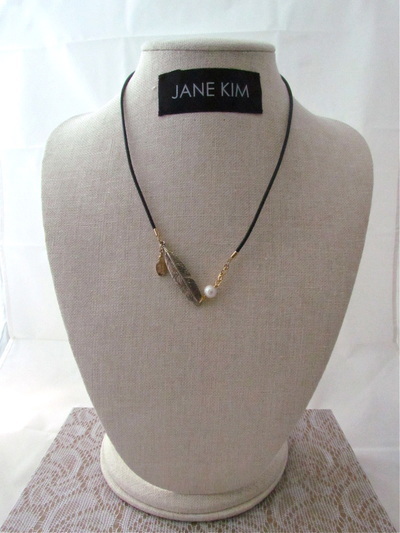 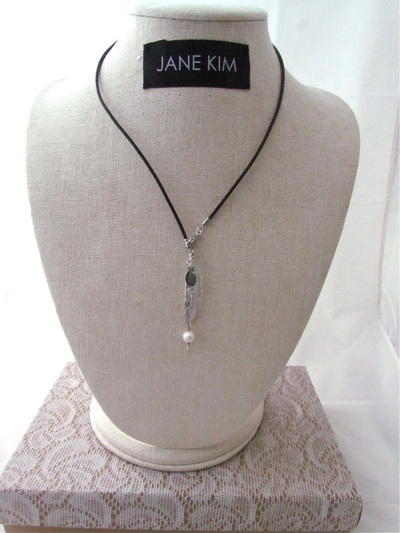 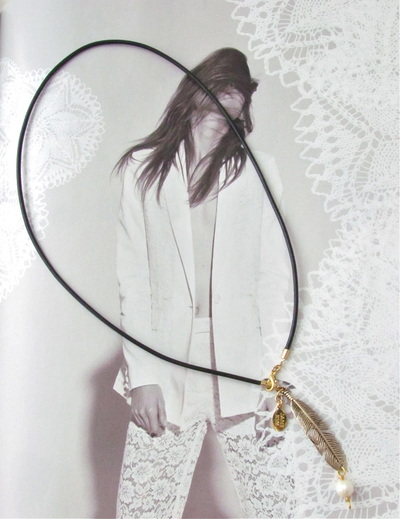 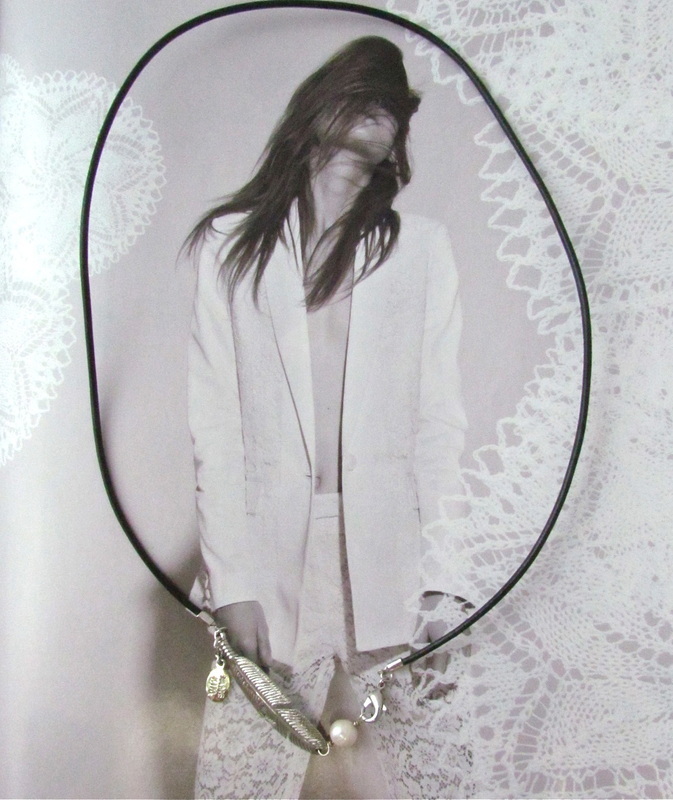 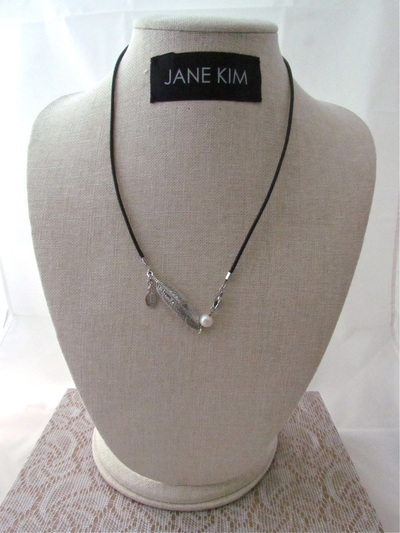 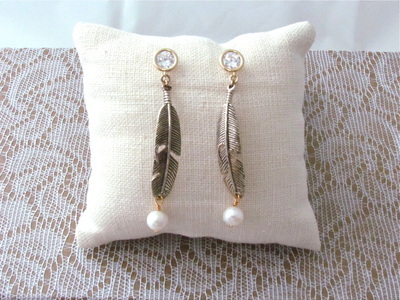 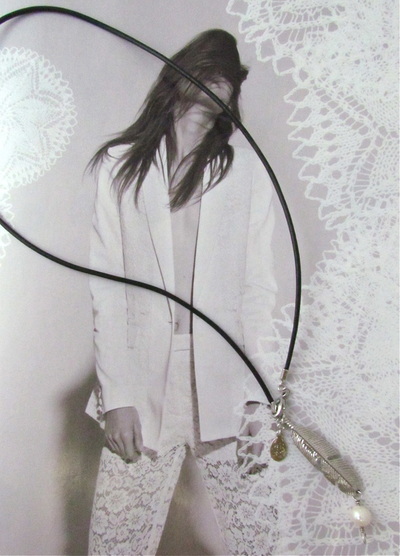 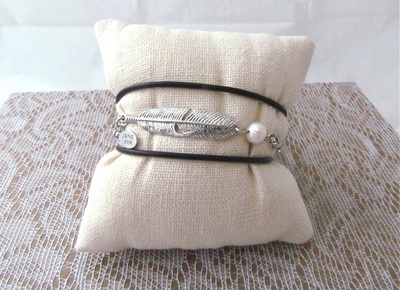 Embellished with freshwater pearls, feather pendants and black leather necklace.